The United States Department of Health and Human Services (HHS) has plans to evaluate the public’s awareness and perception of long term care in a new survey. 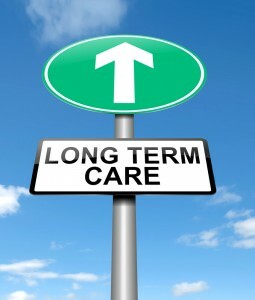 Recognizing the growing issue of long term care spending throughout the nation, the federal government wants to better understand how individual Americans address long term care and how the system could be improved upon in the future. The US spent $211 billion on long term care in 2011, two-thirds of which was public spending. That cost makes up 8% of our national health expenditures and 1.4% of the nation’s GDP. As the need for long term care grows with the aging population, it has become clear that steps need to be taken to address the high cost of care and have people better prepared for the risk. Nonprofit health research organization RTI, who worked closely with the Assistant Secretary for Planning and Education at HHS and long term care experts, developed the survey. Two rounds of preliminary testing have already occurred to ensure the study accomplishes what is desired. Its purpose is to collect data on long term care awareness and how Americans plan for retirement. Questions in the survey are structured to understand the attitudes, knowledge, and experience that Americans have with long term care, as well as how they are planning for the risk of care. There are also a number of questions regarding long term care insurance and consumer preferences in terms of benefit levels, length of coverage, and other policy details. Demographic and socioeconomic information will also be collected. The need for long term care will continue to grow in the next few decades and the number of people who need some type of extended care is expected to triple. The majority of people are unsure how to prepare for long term care and their payment options, so this survey will help raise awareness about the problem and possibly produce some new ways to encourage more Americans to plan for the potential of long term care. Read more about the risk of long term care or access the full federal register notice here. If you are interested in learning more about long term care insurance, fill out this form and we will send you a no-cost comparison of the top policies and providers.